I only captured this trio of geese, but there were about 30 geese, all Canada geese except for the white one. 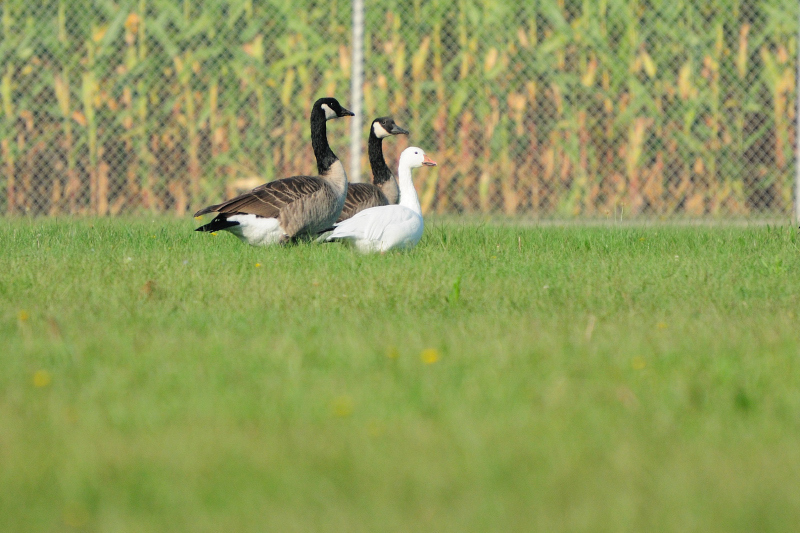 We think he's a Snow goose and he sticks out like a large swath of white among the mainly black Canada geese. We see this often around here. Apparently our ponds are one of the stop spots for the Canadian Geese and occasionally a local white one stops by for the company. Cute shot.